Clean Your Gutters – After a long winter, there’s a good chance that your gutters will be full of leaves and debris. Whether you hire a professional or do it yourself, it’s vital that you make sure the gutters are clear so water can flow unobstructed. While you’re at it, check for wear and tear on your gutters. If you notice damage, contact a professional who can perform an inspection and tell you whether repair or replacement is needed. Trim Tree Branches – Trees growing close to your residential roofing system pose a hazard. Branches can blow off during a storm, damaging your shingles. This is why you should hire a professional to trim the branches of nearby trees. Look for Loose Shingles and Flashing – Using a pair of binoculars, examine your roof from the ground for gaps or blown-off areas in the shingles. You can call Mascon, Inc. to conduct the repairs for you. Check Your Attic – The attic is a perfect breeding ground for mold and mildew so if you see these tell-tale signs in your attic, contact your local roofing contractor for help. Remove Leaves and Pine Needles – Leaves, pine needles and other debris that collects on your roof needs to be removed in the spring. This debris can retain water, which puts extra weight on your roof that can cause damage. A leaf blower or a rake can make quick work of this, but if you don’t like going up on your roof, you can always call us. Moss and Mold – If you remove the tree branches and leaves, you can reduce moss growth on your roof. Certain chemicals also work to prevent moss from growing. Chlorine bleach works best with mold. It’s important to do this as mold can eat away at the roofing material, weakening it and causing leaks. 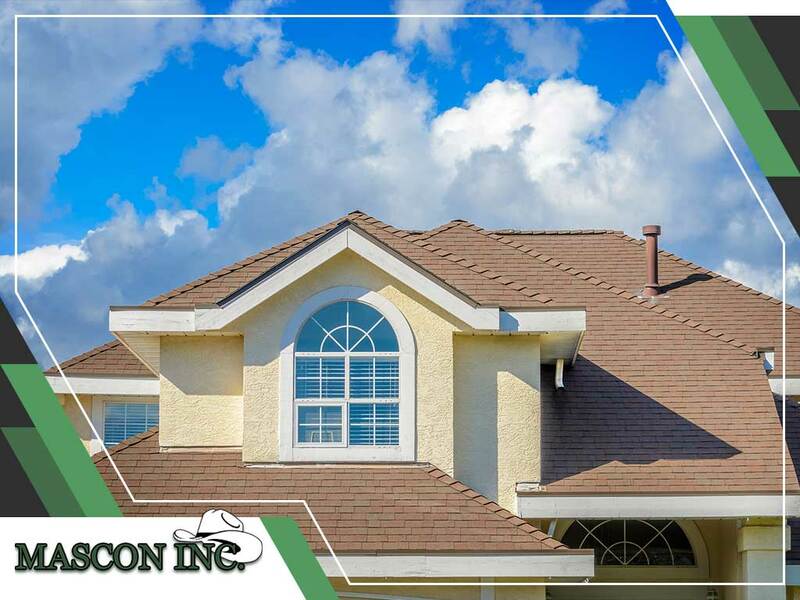 To repair or replace your roof this spring, turn to Mascon, Inc.. We are your leading provider of roofing services. Give us a call at (512) 376-5096 or fill out our contact form to get a free quote. We serve clients in Austin, TX, and nearby areas.